This comprehensive book focuses on DC?DC switching power supply circuits, which are receiving attention as a key technology in green IT, especially in the automotive and consumer electronics industries. It covers buck converters, isolated converters, PFC converters, their modeling and analysis, several control methods, passive components, and their several recent applications (on-chip power supplies, DC?DC and AC?DC converter applications, single-inductor multi-output DC?DC converters, energy harvest applications, wireless power delivery, charge pump circuits, and power amplifiers). 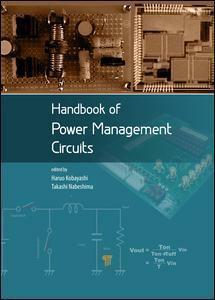 The contents are well balanced as the authors are from both academia and industry and include pioneers and inventors of hysteretic PWM control.